Perfect riding weather and a large turnout marked the 4th annual memorial Mike and Heidi Victory Ride and Walk Saturday, Sept. 8. OAKFIELD, Maine — Perfect riding weather and a large turnout marked the 4th annual memorial Mike and Heidi Victory Ride and Walk Saturday, Sept. 8. 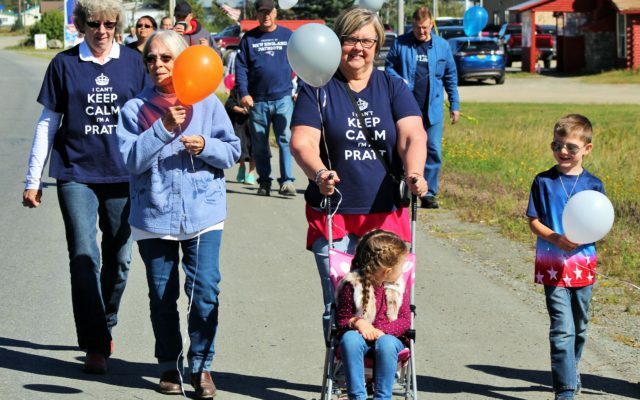 The event, held in memory of Mike Kitchen and Heidi Pratt, who were murdered in their Oakfield home on Sept. 23, 2013, drew nearly 100 motorcycles and “walkers” at the Oakfield Community Center. Ken Bustard, president of the “Mike and Heidi Community Fund,” gave an update that the fund had now received its officials 501(c)3 status to become a newly formed non-profit organization. He also announced the upcoming “Mike and Heidi Community Christmas” to be held at the Oakfield Community Center on Saturday, Dec. 8. This will be the inaugural Christmas event, with the intention of making it the premier Christmas event for Children in Aroostook and Northern Penobscot County. Houlton Police Chief Tim DeLuca then gave a safety briefing for all riders. Joining Chief DeLuca as ride escorts were Officer Doug Bell from Caribou Police Department, Patrolman Ryan Johnson from Aroostook County Sheriff’s Department and Maine State Police Trooper Josh Deangelo from Troop K in Augusta. 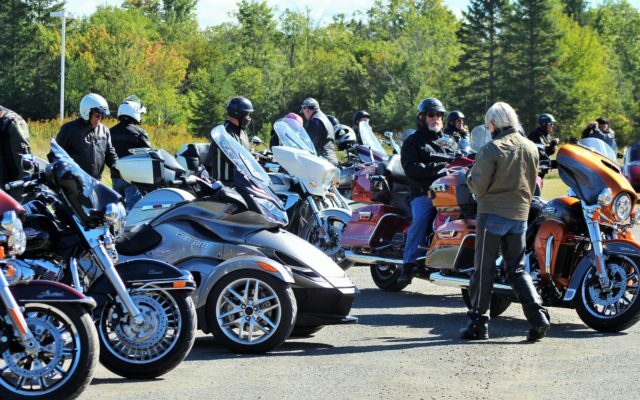 Many of the motorcyclists were local riders, joined by members of the United Vets, Tribunal, Pine Tree Chapter, Aroostook HOG and a lone member of the Low XII Chapter of the Widow Sons (A Masonic Riders Association). Brenda Hersey joined those not riding in a walk to Mike and Heidi’s house lot, where a small flower garden has been planted in their memory. Words were spoken about Mike and Heidi as balloons were released, much to the delight of both children and adults. Bustard expressed his appreciation to the board of directors and the many volunteers who made the day possible. Approximately $4,000 was raised for the Mike and Heidi Community Fund. “Without the contributions from board members, and local business and several individuals, this endeavor just would not be the incredible success it has been” Bustard said.